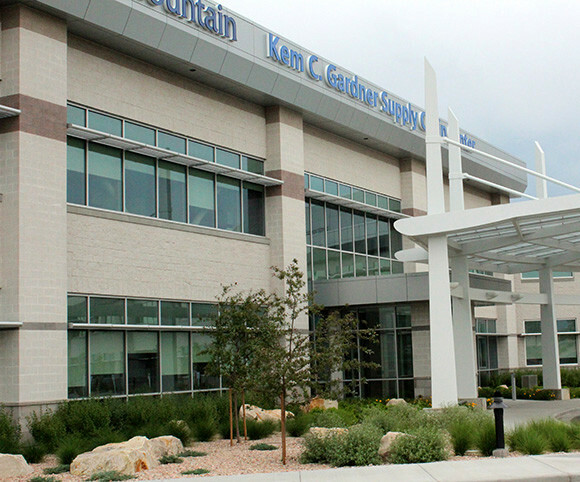 The Intermountain Healthcare Kem C. Gardner Supply Chain Center (SCC) opened in September, 2012. 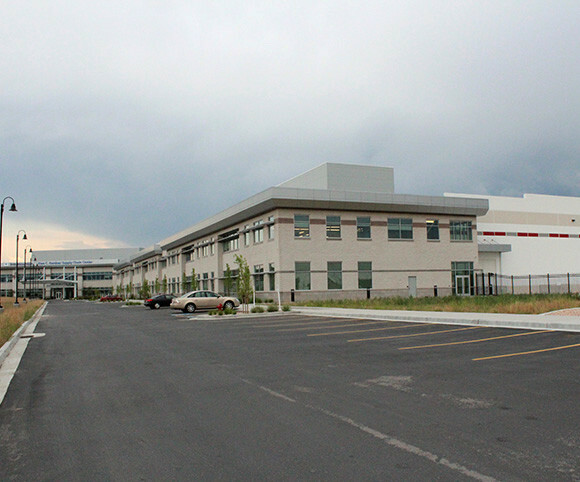 The building is the new home for Intermountain Healthcare supply chain operations and support services for Intermountain Healthcare’s 23 hospitals and 160 clinics in Utah and Southern Idaho. 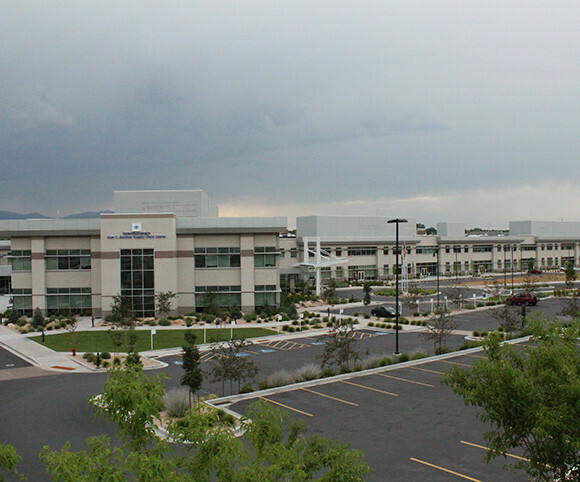 The state-of-the-art consolidated logistics complex is centrally located to the majority of Intermountain’s hospitals and clinics. In the event of a natural disaster, delivery vehicles would have immediate access to multiple thoroughfares. The new consolidated services building houses ordering, purchasing, warehousing and distribution functions for more than 5,000 types of medical supplies. The facility supplies everything from suture kits to laptop computers. The health care company spends some $1.3 billion a year on supplies. 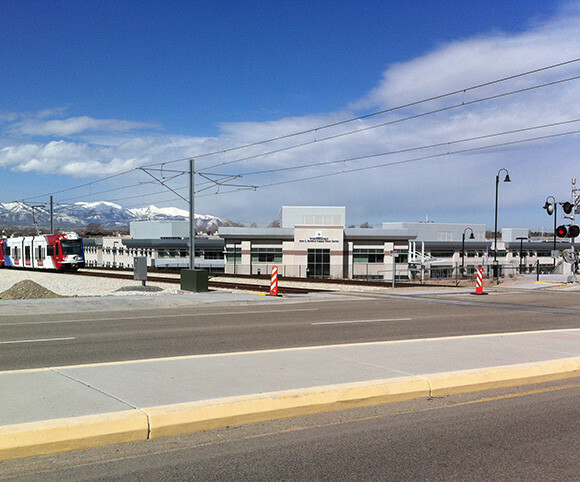 The facility was named for Gardner, a prominent Salt Lake developer and co-founder of the The Boyer Co. Gardner served as honorary chairman of Intermountain Healthcare from 2007 to 2012. The total size of the SCC building 327,000 square feet (151,000 sq. ft. distribution center; 65,000 sq. ft. ancillary services; 111,000 sq. ft. administrative offices). The SCC building was designed to be an environmentally friendly and sustainable building – LEED (silver) certified building. The warehouse is climate controlled with high volume air rotation handling systems to hold temperature variations to less than 3 degrees anywhere within the warehouse. The building was designed and built to the same seismic standards as a hospital; it has dual emergency back-up power generation plants and multiple fail-over systems to ensure continued operations during a disaster event. The medical-surgical products warehouse and pharmacy processing areas of the building are controlled access (class C pharmacy licensed) areas. 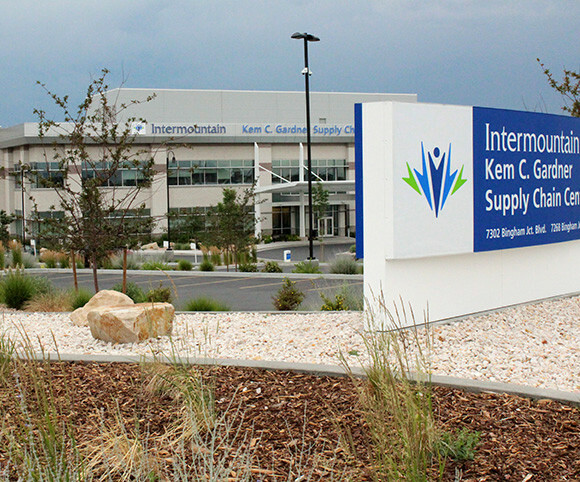 Intermountain Healthcare SCC distribution center consists of 28 dock doors; over 5000 medical–surgical product SKU’s and 18,682 bin / stocking locations.